Damaged joints cause immense pain, thereby making movement restricted and extremely difficult. 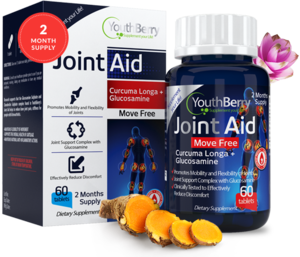 YouthBerry Joint Pain Management supplements provide nutritional support to age-related onset of joint pain, as well as provide support to healing joints. 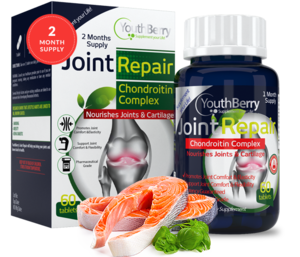 Research supports that the Glucosamine Sulphate and Chondroitin Sulphate complex found in YouthBerry’s Joint Aid helps to reduce knee joint pain and stiffness for people with Osteoarthritis. The supplement is clinically proven to support the overall health of the cartilage and maintain natural anti-inflammatory actions. 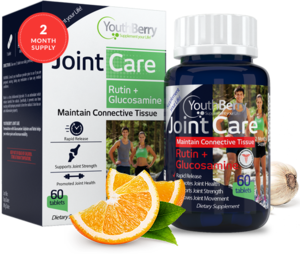 YouthBerry’s Joint Care formulation with Glucosamine Sulphate and Rutin helps you reduce pain and increase mobility. Rutin is a citrus bioflavonoid glycoside. It is an antioxidant, which reduces harmful free radicals. Specifically, it prevents iron from reacting with hydrogen peroxide to form free radicals. It also has an anti-inflammatory property. 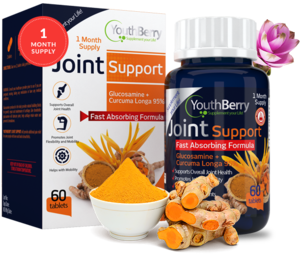 YouthBerry’s Joint Support is formulated using potent extracts like Glucosamine + Curcuma Longa 95%. Glucosamine produced in the body provides natural building blocks for growth, repair and maintenance of cartilage. Glucosamine will lubricate joints, help cartilage retain water and prevent its breakdown. 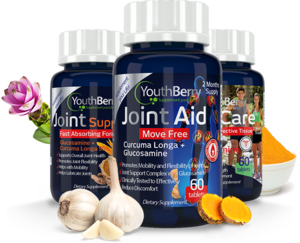 YouthBerry’s Joint Support provides additional pain relief for some people with knee and hand osteoarthritis. It is an ideal supplement to support overall joint health.